Other: Archival Ink/Watering Can, Cats Eye/Limited Edition-Abyss, watercolor paint, watercolor paper, acrylic block, Scrapbook Adhesives 3D foam dots and tape runner. 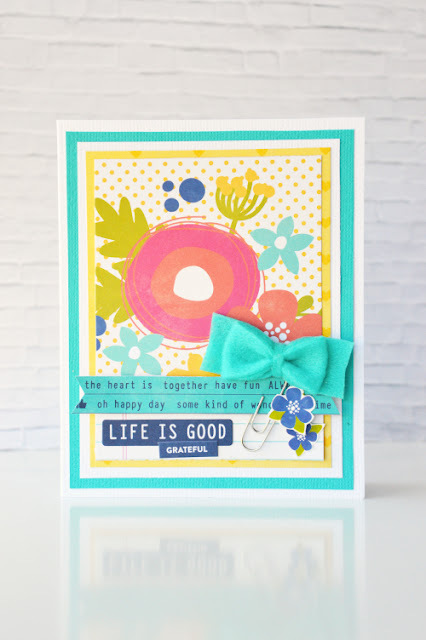 Fun family layouts are a personal favorite, I also love to add stamping to them whenever possible. Sometimes I just use stamps to add subtle touches such as in this layout. 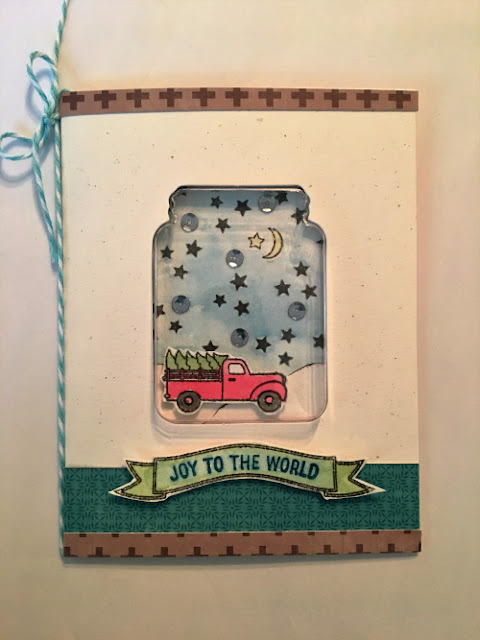 I used the new Hampton Art clear stamp set and a banner tag with a grid based design. My family and I discovered a really fun place a couple weeks ago. It was EnterTrainment Junction near Cincinnati, Ohio and it was all about trains. So my 7 year old son was in heaven, they had the most amazing model train displays I have ever seen. So of course I needed to create a layout to remember this day. I chose a sketch from Creative Scrappers and then modified it a bit to allow for two photos and 2 – 3”x4” cards. I wanted playful colors and designs so I used Jillibean Soup Yellow Pepper Saffron for the papers. 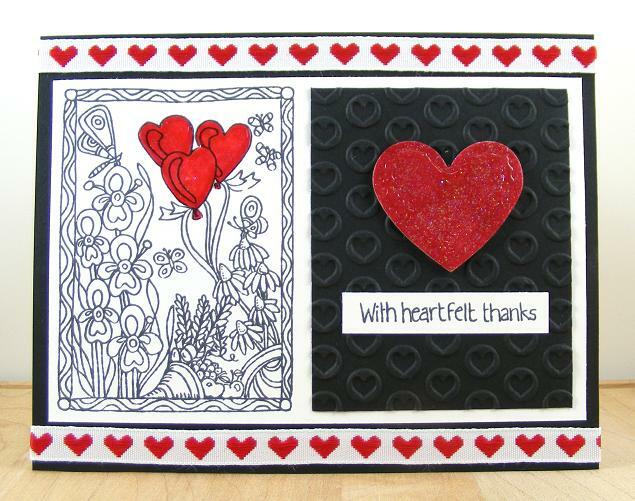 The first stamping I did was on the journaling card, I added the little heart and Love ya sentiment in gray ink. Next I stamped in gray ink the banner tag with the sentiment “Good Time” over and over again as shown. 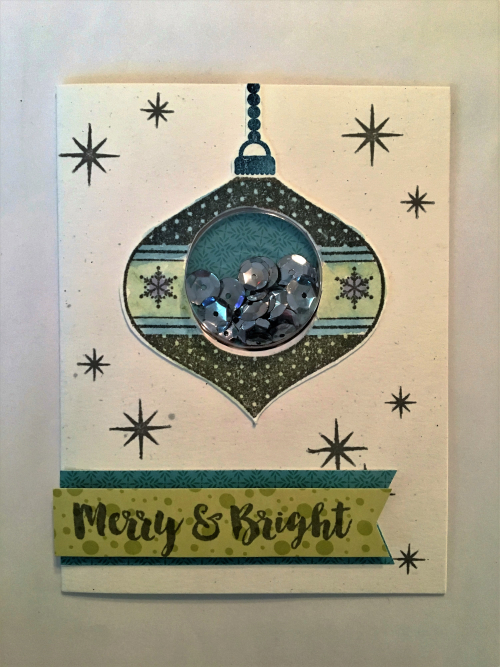 I think this makes a fun embellishment piece perfect for the page. Using the sketch I chose my patterned papers and cut accordingly and laid out my grid design. I cut and sized my photos to fit. All the pieces seemed to get a little lost on the black polka dot paper so I added the silver cardstock mat. The result is a fun family layout perfect for capturing any good time event. 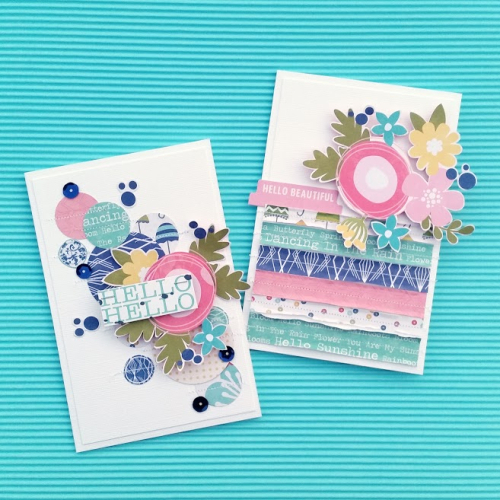 Take a look at your stamp sets and see what embellishments you can create with text or small design items like I did in this layout. Here is another twist on using a coloring book theme stamp, stamp it in one color and add the sentiment in another color. All coloring book style stamps do not have to be colored in. They hold their own very well with just one ink color. I love this new stamp set and banner tag from Hampton Art, aren’t those birds so cute- they make me smile. The card started with a kraft card base to add some contrast. 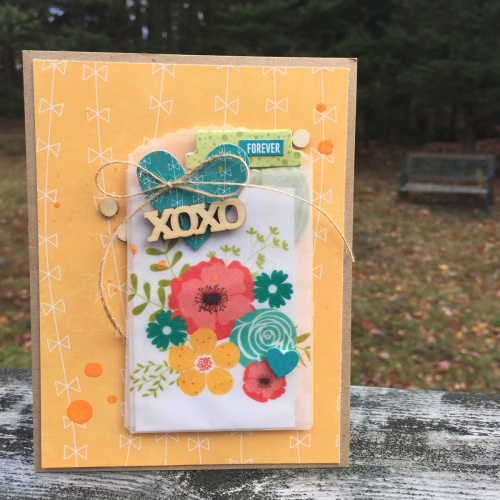 Then I stamped the image in Limeade ink onto white cardstock and Next I searched for a small to mid-size floral print that would match my limeade ink color. These papers from Jillibean Soup Healthy Hello were just what I needed. I cut the floral print as a mat base and then layered another mat using the navy gingham paper. 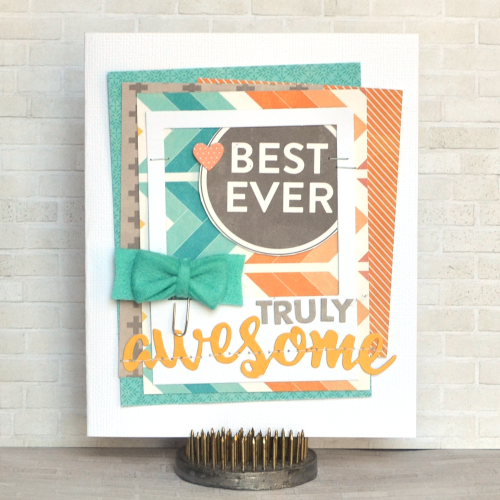 The image piece was cut out and added as shown to the center of the card using 3D foam dots. Happy Hues paint- Yummy Yellow. Once it was dry I put one adhesive sequin on in a navy color as well. 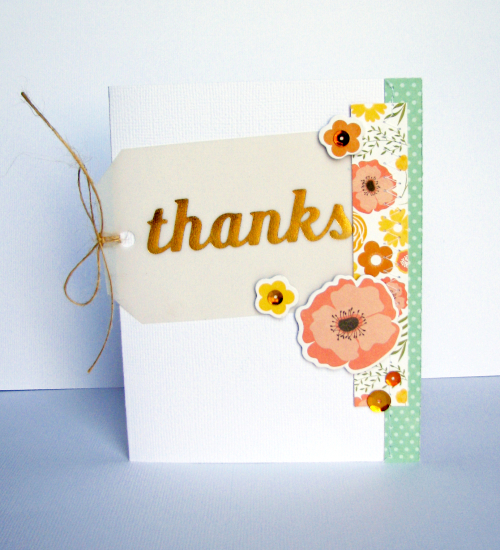 Just like that you are done, a quick card to share with a friend. 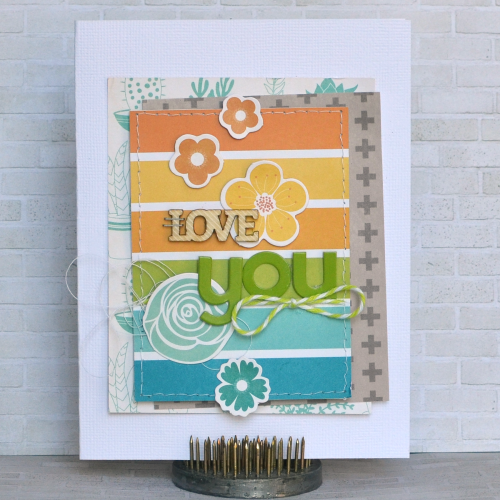 There are so many possibilities to using two ink colors overlapped on a card, give it a try and see what you come up. 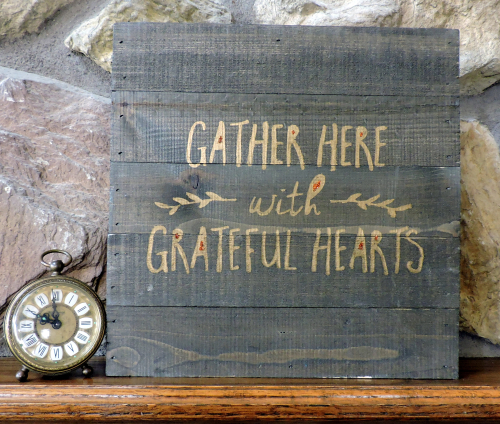 Needing an Anniversary card this month I chose one of the new Hampton Art wood stamps with this sweet sentiment. The papers are Jillibean Soup and together with a new Hampton Art doily edge tag they profess forever love. I wanted to allow the tag to be the main focal point, so I kept all the rest of the card pretty simple. I stamped the tag sentiment in gray ink. 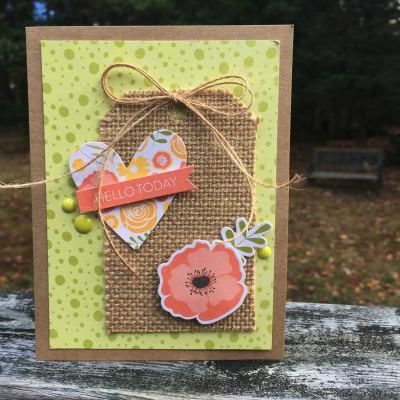 I began with a plain white card base and layered on the grey paper as a mat and then the two patterned paper squares from Jillibean Soup’s Mushroom Medley collection. Then I added on the border strips using a fun sequins paper from the Yellow Saffron Soup Collection from Jillibean. The strips were punched using a Fiskars border punch for some added interest. I felt like it needed a bit more so I stitched the two lines across for extra texture. Last I adhered the tag to the center of card front as shown with 3D foam dots. That was all there was to it, really simple card. Happy Anniversary to me! Anyone else have an anniversary this month? 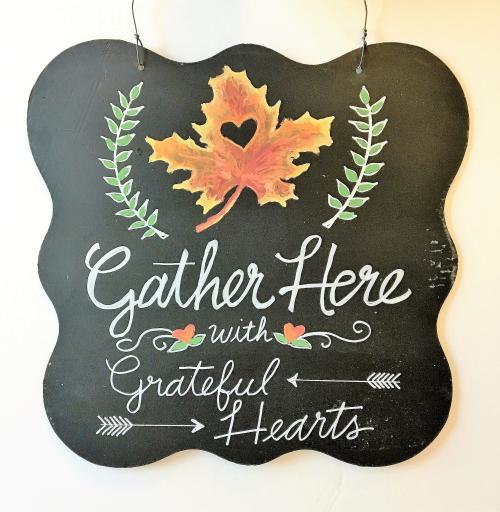 Glitter Finish & Clear Glaze -- Mod Podge by Plaid Enterprises, Inc.